instead of “BB” and hitters had “3B” for both double and triples. With the complete set, these errors have been corrected. 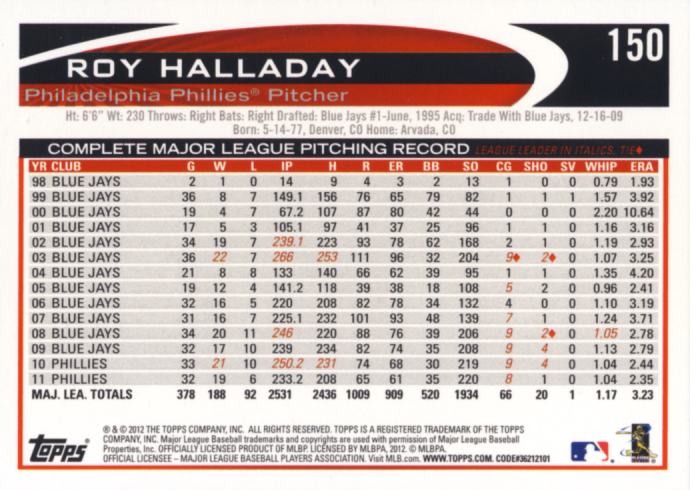 Here is Roy Halladay’s base card from Series 1 and the box set. The one on the left was pulled from a Series 1 pack, the one on the right is from the set box. As you can see, they look identical on the front. Here are the backs of the cards. Again the one on the left was pulled from a Series 1 pack, the one on the right is from the set box. Notice the stat after "ER" is "W" on the pack pull and "BB" on the one from the set. So if you want properly labeled cards, this is an easy way to get all of them at once. 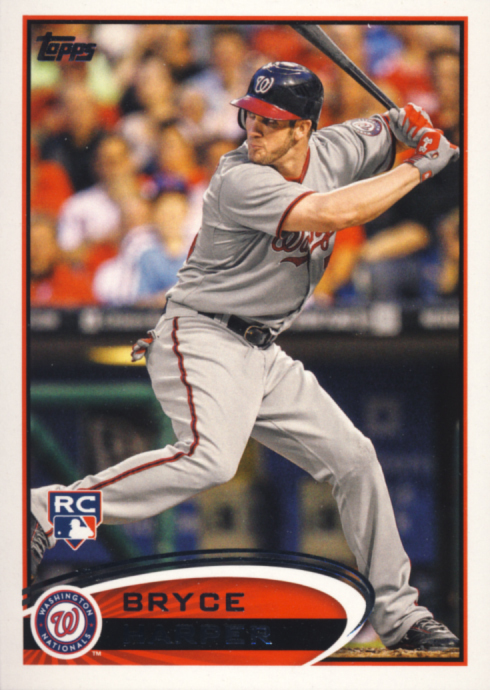 Another consideration would be for those who are collecting Bryce Harper. He was called up to the show close to the release of Series 2. 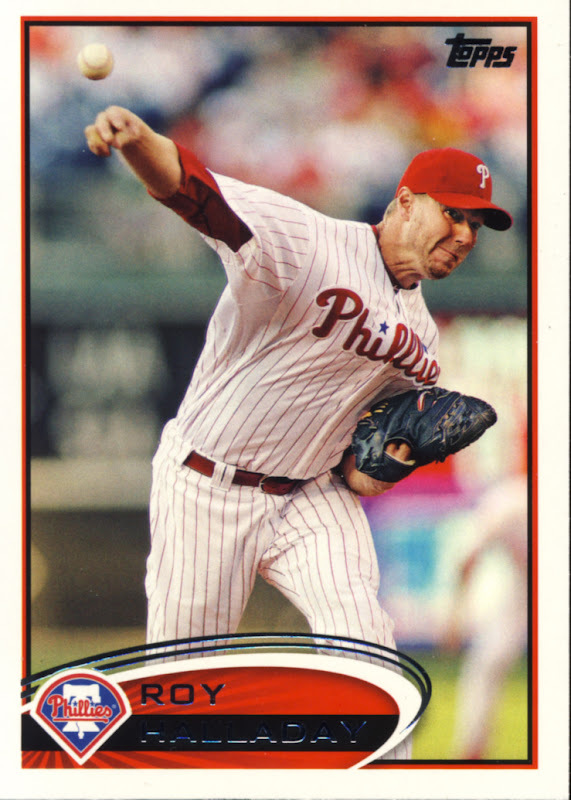 Topps had just enough time to include a super short print run of Harper cards, so chances are, even if you opened a lot of packs, you missed out on card #661. 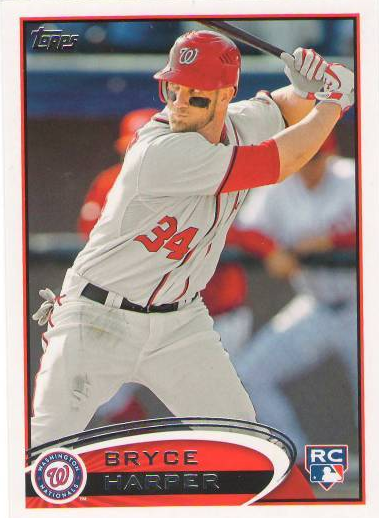 While you wont be able to get that particular version, every complete set box, both retail and hobby, includes at least one card #661 of Bryce Harper. There are two new versions to collect. Here is a look. From Left to Right, card #661 from Series 2 packs, the box set, the box set rookie variations. The one included in our box was the card in the middle. 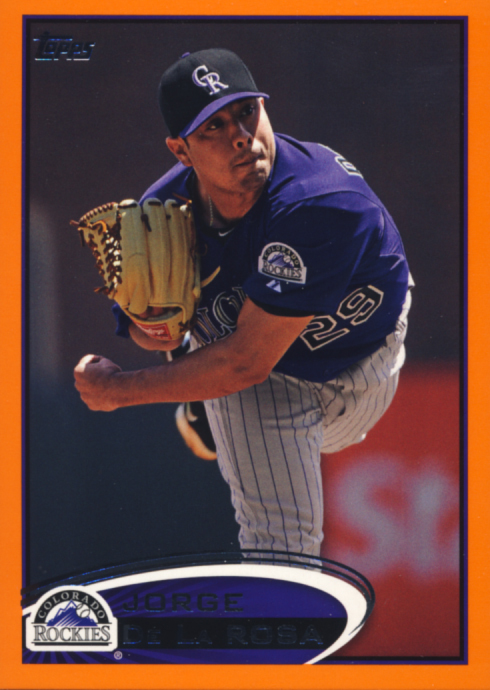 There are also a variety of box configurations to choose from like our box that includes a 5-card pack of Orange Bordered parallel cards, each one numbered to 190. Red Sox fans can purchase a Fenway 100th Anniversary version that includes a Fenway Park Dirt Relic Card and 5 All-Star inserts. 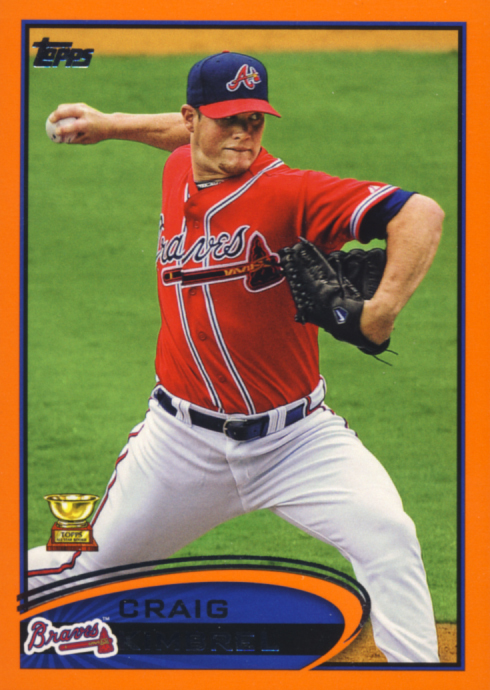 There is an MLB All-Star game version that includes 5 All-Star inserts. There are also 3 other box sets that include a 5-card rookie parallel pack of Bryce Harper, Brett Lowrie, Yu Darvish, Matt Moore and Yoenis Cespedes, one with that pack alone, one with an additional Gold Chrome card of Willie Mays and one with an additional Gold Chrome card of Mickey Mantle. 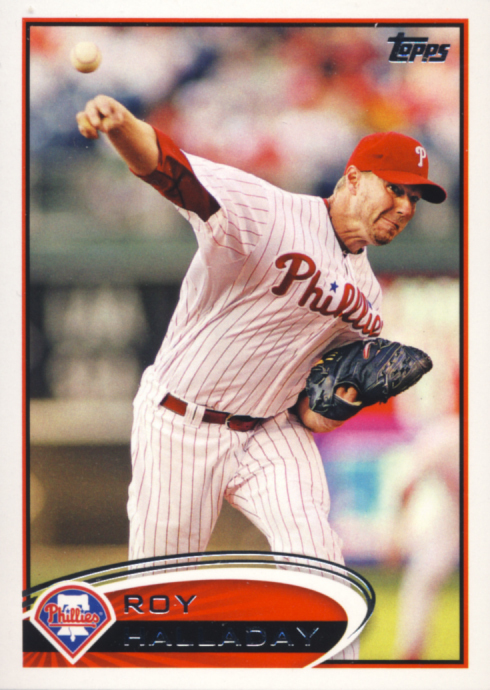 2012 Topps Baseball Complete is reviewed here as a boxed set that would otherwise be classified as trading cards. 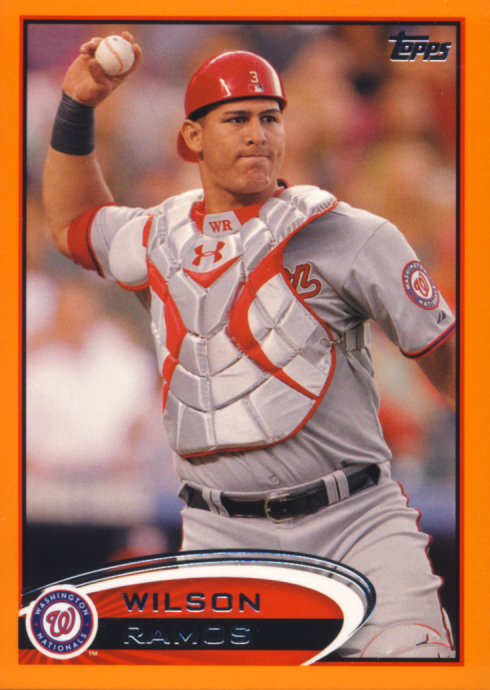 The Hobby version we opened includes 660 base cards from Series 1 and 2 plus and alternate photo version of Bryce Harper’s #661 card and an additional 5-card pack of Orange Bordered parallel base cards numbered to 190. 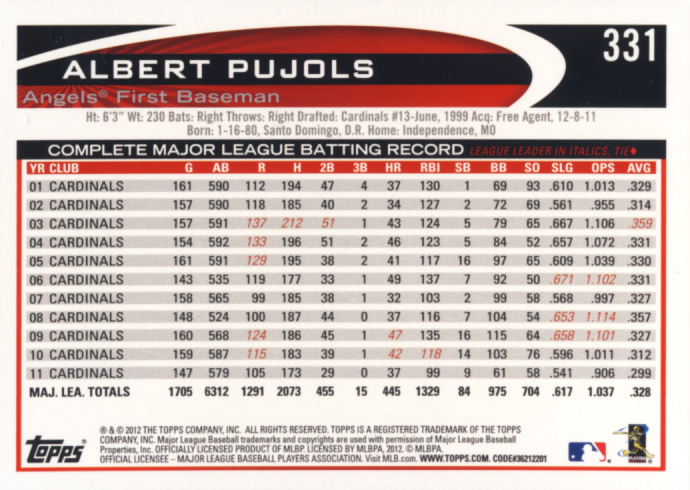 Here is one of the base cards. 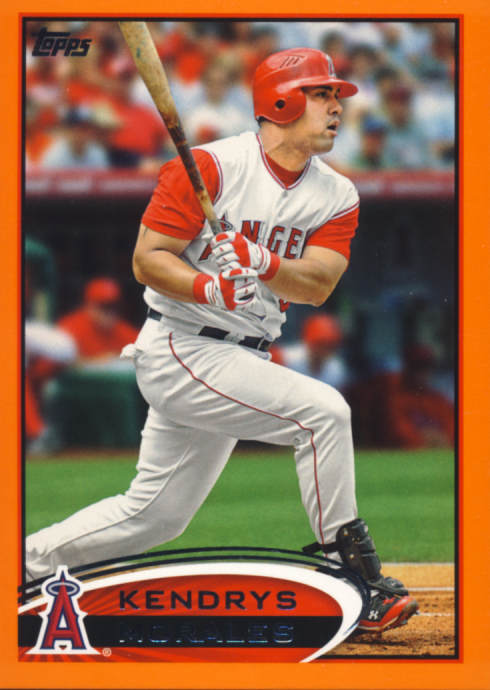 Here are the 5 orange bordered parallels numbered to 190. Base design is decent. Photo selection for cards from Series 2, card number 331 to 661 seems much better than it was for cards from Series 1, card number 1 to 330. The checklist is quite extensive you should be happy. 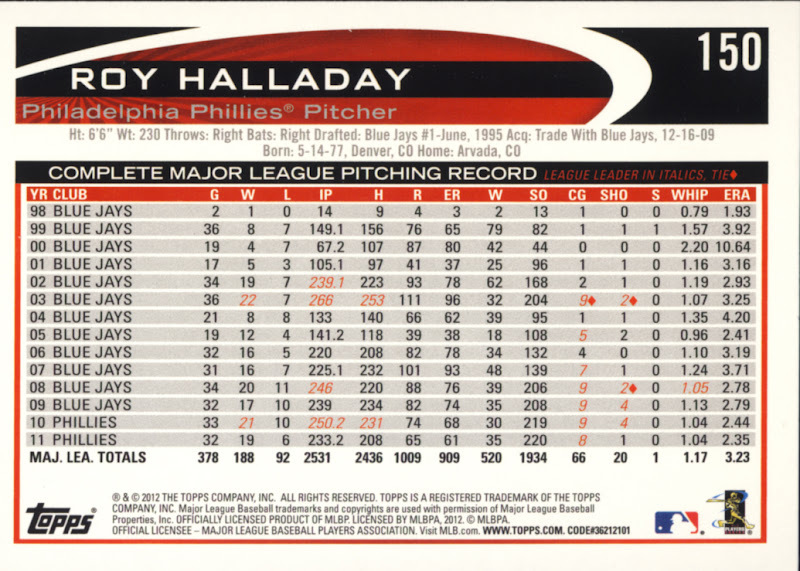 Short of Mickey Mantle’s card number 7, these are all current players. Having the complete packaged set is convenient and easy to give as a gift to a casual collector. 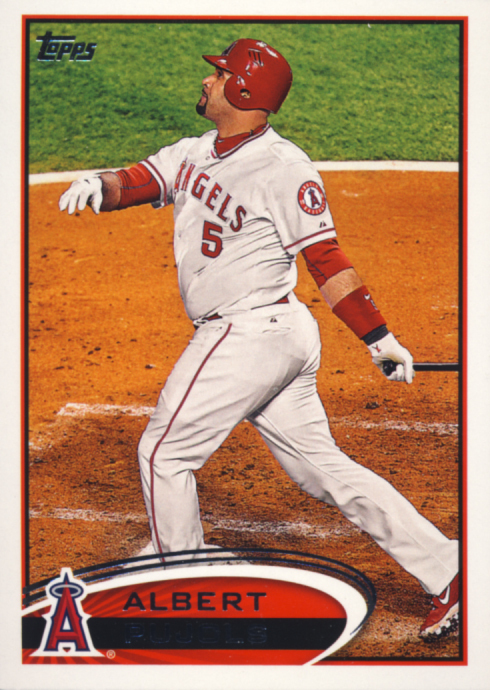 By adding the incentives and cards found exclusively in these sets, Topps expands that intended base a little. With the high prices being paid for the rookie photo variation cards on the secondary market, experienced collectors might seek these sets out, even if they have put together this set by hand. 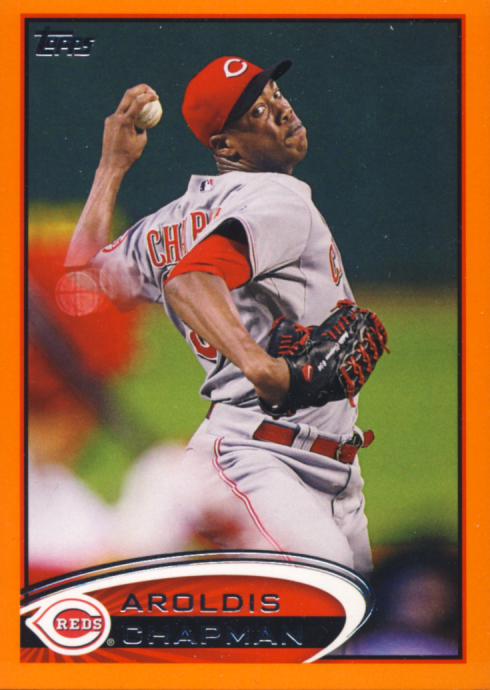 2012 Topps Baseball Complete Set offers enough, through correction of prior errors and variety beyond the base set, to cover a wide range of collectors' needs. Thanks! That was a very informative post.